Auto transport is a service that many people do not use on a daily basis, and so it is understandable that you will want to have a full understanding of the auto shipping contract to know exactly what you are getting when signing up for a vehicle move. Take the following auto transport guide as advice before signing anything. How to Ship a Car You can save yourself a great deal of time and money (not to mention headache) by learning how to ship a car from state to state or even internationally. You will learn the car shipping process from start to finish. Get started now! Auto Transport Contracts Auto transport contracts will vary from company to company; however, it's essential that you get the terms of your car transport service in writing. This will protect you in the event of damage to your car, or any unforeseen problems that arise. Car Shipping Tips In order to ensure your auto shipping experience goes off without a hitch, get auto transport tips and advice from the professionals. You can learn some great ways to take advantage of car shipping discounts and save a lot of money in the process. Car Shipping Process The car shipping process is not a complicated one; however, if you are not familiar with auto transport services, it will help you to get an overview of how car shipping works. Make sure your experience is hassle-free from start to finish. Car Shipping Preparation Preparing your car for shipping is very important, as your auto transport company may refuse to ship your car if you don't follow their shipping requirements exactly. Learn all the common car shipping preparation tips to avoid any problems. Vehicle Shipment Times One of the most common questions about auto transport is about the pick up and delivery of your vehicle. Find out how to guarantee your shipping company will provide accurate vehicle shipment times, and how you can hold them accountable. CarMoves.com Customer Testimonials Read our customer testimonials from people just like you who shipped their cars with CarMoves, Inc. These personal auto transport experiences will help you understand why CarMoves.com is the most trusted auto transport company in the U.S.
Auto Transport Reviews Read auto transport reviews from customers who shipped their vehicles domestically or internationally. We have collected auto shipping reviews from our clients for years to help you get a better understanding of the car transport process. Reasons to Ship a Car You may be thinking of driving your car yourself when you move or go on vacation. Before you jump behind the wheel, find out the most common reasons to ship a car. You could save yourself a great deal of time and money by shipping. Auto Transport Videos Sit back, relax and watch our collection of auto transport videos to learn more about the car transport services available at CarMoves.com and other leading car shipping companies in your area. View our professional videos now - enjoy! Every auto transport guide will recommend that you contact your shipper's customer service department if you have any auto transport questions. Thus, you can be prepared for ever step in the auto shipping process. 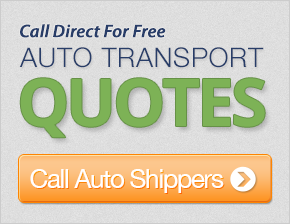 Read online reviews about potential auto shippers before choosing them. Ensure that they are licensed and registered with the Federal Motor Carrier Safety Administration (FMCSA) before signing any contracts. Ensure that you have a written contract for the auto transport service that you are using. Don't rely on a verbal contract from your agent. If you have something in writing, it is much easier for you to follow up if you have questions or an issue arises with the movement. Confirm the auto transport cost that is being provided. Ask if there are any additional fees. Know if there are extra fees for cancellation, or if you will be reimbursed should an issue arise and your auto transport company fails to collect the vehicle by the specified date and time. Find out whether the car transport company will pay for a rental car should your vehicle arrive late to its destination. Of course, this is something that may be covered by insurance, so you should ask which provisions are included. Expect an inspection report on collection and delivery. This document is known as the bill of lading, and it is a legally binding document that clarifies your vehicle's state at the time of pick-up and drop-off. If damage is not noted on the bill of lading at drop-off, you will have a difficult time convincing the auto transporter's insurance company to pay for a claim.